Jennifer Hernandez’s life is emblematic of modern poverty. A Chicago-area single mother in her late 20s, she tried for a time to support herself and her two young children with a variety of low-wage retail jobs. It was tough going. For more than 20 years, legislators and policymakers have been making some fundamental changes to many of the programs that protect citizens in America from the ravages of poverty—from food stamps to income tax credits to welfare payments. The Great Recession has tested the capacity of the current safety net and illustrated some unintended consequences of how it is currently configured. 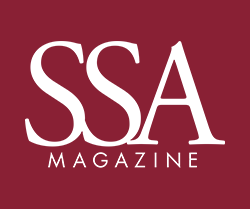 This article includes research by SSA faculty members Susan Lambert and Julia Henly on low-wage service employment, Marci Ybarra on who uses welfare today, Scott Allard on nonprofit service providers and Heather Hill on income insecurity. At one job, the hours were either irregular or her employer violated labor laws by badgering staff into working double shifts with little notice and no overtime or benefits. After an episode in which the employer—indifferent to his staff ’s childcare needs—insisted that Jennifer (not her real name) cover the shift of her cousin following a full shift of her own, she quit and moved to Texas to live with relatives and seek what she hoped would be better opportunities for herself and her family. The move turned out to be a mistake, says H. Luke Shaefer, A.M. ’05, Ph.D. ’08, assistant professor of social work at the University of Michigan, who, along with his colleague Kathryn Edin at Harvard’s Kennedy School, has interviewed Jennifer over the course of the last year as part of their research. One day, she walked in on an uncle molesting her 9-year-old daughter. When she reported the sexual assault to police, family turned on her for making what they believed was a private matter public.Forced to move out, Jennifer wound her way back to Chicago, where she began eking out a hand-to-mouth existence. For eight months Jennifer and her family have been homeless, relying heavily on a network of nonprofit social service agencies for shelter, usually for up to 90 days. Jennifer does receive some government support courtesy of the Supplemental Nutrition Assistance Program (SNAP, formerly known as food stamps) and Medicaid, which provide food and health care for her children. For cash, she takes online surveys at the public library, which generates about $50 a month. For families like Jennifer’s, the last five years have been a real-world stress test of the strength of our social safety net. Protecting citizens in America from the ravages of poverty is the responsibility of a wide mix of public assistance programs—from housing subsidies to income tax credits to welfare payments. For more than 20 years, legislators and policymakers have been making some fundamental changes to many of these programs. As with any big change, unintended consequences can have as much impact as those that were expected. 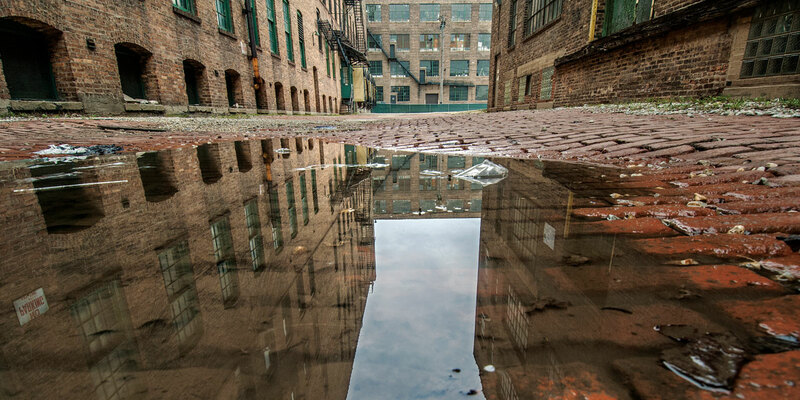 When the economy fell apart in 2008, unemployment spiked, particularly for low-wage workers and those with barriers to employment, and the public assistance programs were given all they could handle. Today, social scientists who work on poverty issues are trying to answer what seems like a simple question: How is the safety net holding up? The answer, to a large degree, is complex. Unquestionably, the country has seen an expansion in total amount of dollars devoted to aiding the poor. Medicaid provides health care coverage to millions more children and families today than it did during the recessions of the late 1970s and early ’90s, for example, and programs like the Earned Income Tax Credit, which provides a tax refund to low-income families, have seen substantial increases in participation in recent years. Yet these gains are not evenly distributed. There are more than 46 million people who live at or below the poverty line. Photo by Lloyd DeGrane. Legislators have continued to reward work as a way out of poverty, with a portion of TANF funding for supports like child care and training replacing some funding for straight cash assistance, and the growth of the Earned Income Tax Credit, which is only available to those who have a job. Today, the EITC helps more than 25 million families—keeping 7 million out of poverty—and is a bigger program than TANF. When the economy was roaring along at the end of the 1990s, however, it hid ongoing structural changes to the U.S. job market. Between 1978 and 2007, for example, the United States lost about 29 percent of its manufacturing jobs. To the extent that replacement work arose, it was largely in the service sector. These jobs, which tended to be more vulnerable to the fits and starts of the economy, were lower-paying and less stable, hardly the gateways to financial security that the architects of TANF had in mind. Hill and Associate Professor Susan Lambert serve as the co-principal investigators for SSA’s Employment Instability, Family Well-being, and Social Policy Network (EINet), a multidisciplinary coalition of scholars from around the country. The scholars in EINet study the nature, sources, and ramifications of employment instability at the lower-end of the labor market, and develop and evaluate interventions aimed at reducing employment instability and its effects on children and families. Before joining the faculty at SSA, Assistant Professor Marci Ybarra’s research included spending time in welfare offices in Wisconsin, where she noticed that many of the people walking through the door weren’t who you might typically expect to be there. That sparked her interest, and she and colleagues from the University of Wisconsin have done a study of the four largest TANF offices in the state and found that roughly a third of the people who applied for benefits were new mothers, and another 20 percent were workers who had a disability. With fewer people able to meet TANF’s work requirement, Ybarra’s research seems to indicate that, at least in Wisconsin, the welfare program is now also fulfilling purposes other than helping individuals who have long-term difficulty finding employment. In another study soon to be published in Social Work Research, she found that 80 percent of the women who applied for benefits after having a baby had worked in the year before. And of those, 70 percent went back to work three months later. In Wisconsin, TANF eligibility for having a newborn ends after three months. Nearly 44 percent of immigrants to the U.S. live within 200 percent of the poverty line. Photo by Lloyd DeGrane. TANF is only part of the safety net story. As Allard points out in his 2009 book, Out of Reach: Place, Poverty and the New American Welfare State, federal welfare cash assistance expenditures total between about $10 billion to $15 billion each year, while federal, state and local governments spend about $150 billion on means-tested food, housing, education and social service assistance. For example, SNAP was expanded— both in terms of broader eligibility and more generous benefits—in 2002 and with the Great Recession, the number of families receiving food assistance through the program grew by 70 percent between 2007 and 2012, according to the Food Research and Action Center, a Washington, D.C.-based nonprofit. As with TANF, there are unintended consequences in how other aspects of the safety net operates. For instance, laid off older workers and childless men, caught in a netherworld between their prime working years and their eligibility for Social Security benefits, often languish among the hidden poor. Many older workers, particularly in regions where manufacturing was hardest hit, have turned to Social Security Disability Insurance as their safety net, giving rise to a growth industry for attorneys who help SSDI claimants file appeals when they have been denied benefits. Between 1975 and 2005, the number of people receiving SSDI benefits tripled to 6.5 million. Immigrants, both documented and undocumented, are another category of people who often slip between the cracks. According to the Center for Immigration Studies, nearly 29 percent of the 46 million people in the country living in poverty are immigrants. Adding individuals who live within 200 percent of the poverty line and the number of immigrants categorized as poor jumps to nearly 44 percent. “For a variety of reasons [immigrants] may be excluded via legal, bureaucratic or cultural barriers from large array of benefits and services, like disability insurance or early childhood education programs,” says Ybarra, who has started research that examines the impact on cognitive development and other measures for young children of immigrants whose parents have avoided signing up for formal childcare. And while many acknowledge the benefits of work for needy families, when many supports are now tied to employment, those who cannot find work may fall deeper into poverty. In 1996, about 10 percent of all poor households were classified as living in extreme poverty. In 2011, the proportion of households classified as extremely poor was between 18 and 20 percent. In a paper published in September in Children and Youth Services Review, Ybarra and Shaefer found that the deeply poor, those who live below half of the poverty line, are finding it even more difficult to meet essential household expenses and falling behind on utilities costs. The prominent role played by nonprofit social service agencies is another massive change in the social safety net. Allard, whose research focuses on recent trends in safety net assistance, has studied the expansion of social service programs following Lyndon Johnson’s War on Poverty in the 1960s. Government funding for social programs grew in these decades, as did the number of nonprofit agencies designed to administer and deliver those services. That trend accelerated in the last few decades, as the federal and state government increasingly turned to private nonprofit providers to deliver social services. Some programs are as simple as a neighborhood food pantry, others are large complex organizations like Catholic Charities or the Salvation Army. Allard’s recent work has examined the relationship between where nonprofit service providers are located and where the poor live. He’s found that, when accounting for supply and demand, high poverty areas have access to almost half as much assistance from social service programs as low-poverty areas. He’s also found that, although suburban poverty is growing rapidly, much of the social service infrastructure remains located in central cities. “The private safety net is strong in some places, but very spotty and patchy in others,” he says. At the same time, the state of the nonprofit social service sector has become more tenuous. Many of these organizations have not fared particularly well in the recession. Private giving is down. Some agencies have lost more than half their endowment. States, which provide a lot of their funding, have slashed their social service appropriations or are in arrears. The State of Illinois began FY 2013 with close to $8 billion in unpaid bills, about one-third due to agencies that provide aid to the needy. On one hand, the budget battles in Washington and sequestration—the automatic federal spending cuts mandated by the Budget Control Act of 2011—threaten to squeeze both federal and nonprofit social service programs even further. Yet many SSA scholars are hopeful that a policy conversation about the nature of work and the stability of jobs in the new economy is already underway. “People are talking about bringing back middle-class jobs. And what do they mean when they say bring back ‘middle-class jobs’? They don’t mean 10-hours-a-week jobs,” Lambert says. Unfortunately, the immediate future continues to look a bit bleak. The economy is growing slowly, particularly for low-income workers, and more and more children are qualifying for free and reduced lunch programs and showing up for school showing the strains of all the pressures weighing on needy families.